IGN has posted the trailer for the next upcoming DC Animation film, Justice League: War. Based on Geoff Johns’ and Jim Lee’s first Justice League storyline in the New 52, the film is the first animation feature to be set in the New 52 universe. The Flash appears in the trailer, but takes something of a back seat to some of the other Justice League members. What do you think? Are you interested in watching the film? This entry was posted in Media, Timely and tagged Justice League: War on October 30, 2013 by Lia. This Week: Teen Titans Annual, Impulse meets…Captain Saturn? 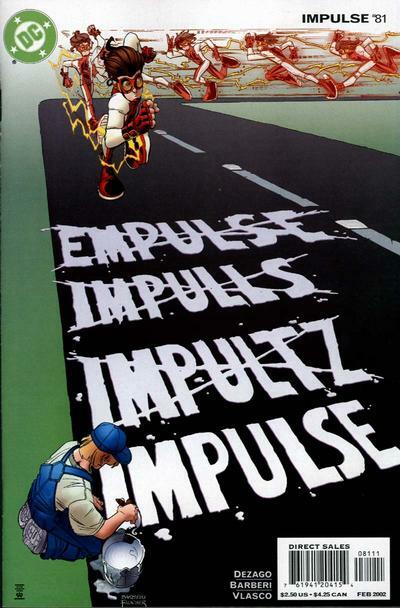 In this stand-alone issue from the “Full Coverage” event, Impulse meets the delusional Dan Coyote, an ordinary man convinced that he is the superhero Captain Saturn, and that Impulse is his sidekick Snacky. This entry was posted in Out This Week on October 29, 2013 by Kelson. This is a really interesting issue for a lot of reasons. For Bart fans…there is a revelation that will have us talking for a long time. For fans of the Titans in general, we see events that will have ramifications for many issues to come. Add to that a most amazing look at the nature of the time stream and you have a great issue of Teen Titans. This entry was posted in Reviews and tagged Angel Unzueta, Art Thibert, Scott Lobdell, Teen Titans, Teen Titans #24 on October 24, 2013 by Ed Garrett. The New 52 version of the Reverse-Flash has proven to be as powerful a villain as Barry Allen has ever faced. Daniel West has gained enough Speed Force energy to finally go back in time to “set things right”…by killing his father! 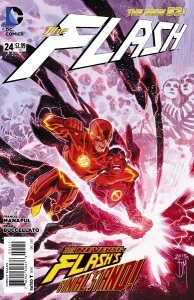 Can Barry stop him, or will Daniel add one more murder to his list of Speed Force-related victims? 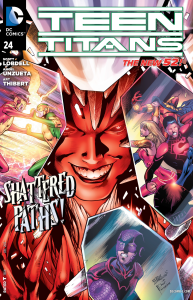 That’s where we pick back up in The Flash #24! This entry was posted in Reviews and tagged Brian Buccellato, Flash #24, Francis Manapul, Reverse Flash on October 23, 2013 by Ed Garrett. 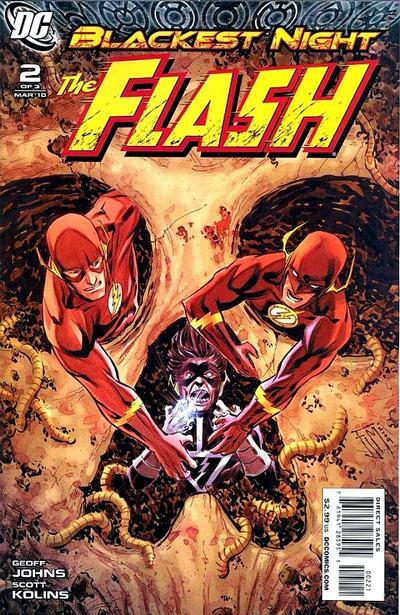 Barry’s battle against the Reverse-Flash ends with major revelations and The Flash facing an impossible challenge! Preview at Newsarama. 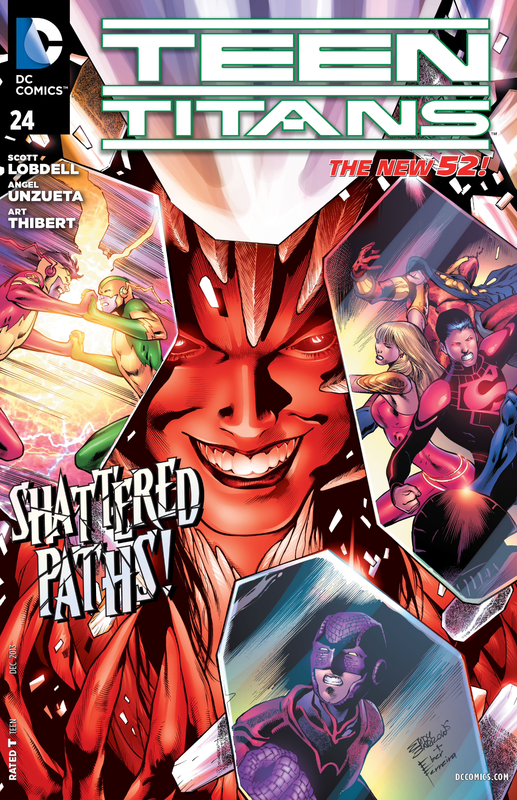 As Forever Evil spreads across the world, where have the Teen Titans gone? Find out when they are and why the Titans definitely aren’t together! There don’t appear to be any new digital Flash or Impulse back-issues this week. This entry was posted in Out This Week on October 23, 2013 by Kelson.